2. Crop yields increasing, but at the cost of less magnesium in those crops (yield dilution). 3. Unbalanced fertilization of soils. 1. High consumption of calcium and vitamin D through diet or through supplementation. Calcium competes with magnesium for absorption. Therefore, if more calcium is being consumed than magnesium, then magnesium absorption will become inhibited. Vitamin D leads to increased calcium absorption, and through this mechanism, inhibits magnesium absorption even further. 2. Consumption of soda and foods such as processed meats that contain phosphoric acid. 3. Sweating during sports - athletes are at risk of magnesium deficiency as magnesium is excreted through sweat. 4. Consumption of aluminum through aluminum cookware, baked goods/baking powder, and deodorant. 5. Aluminum decreases the absorption of magnesium by five-fold in addition to leading to a 41% decrease in magnesium retention. 6. Vitamin B 6 deficiency leads to increased magnesium excretion. 1. How much elemental magnesium does it contain? 2. Does it absorb well in the GI tract? 3. Can it use different transporters for absorption? The first consideration refers to how much actual magnesium is in magnesium salts. For example, magnesium oxide contains 60.5 % elemental magnesium. This makes it an ideal candidate for magnesium supplementation as small doses will provide large amounts of magnesium. In fact, magnesium oxide is the most commonly supplemented form of magnesium currently. It's also the cheapest to produce. However, the issue with magnesium oxide is that it has very poor bioavailability, meaning that most of the elemental magnesium will not be absorbed properly in the GI tract. This is problematic; as large doses of magnesium oxide, in order to compensate for the low bioavailability, will have a significant laxative effect. This is due to the osmotic effect it has in the GI tract. Magnesium oxide also forms insoluble salts with other dietary compounds in the GI tract; which then causes you to excrete it before absorption. In addition, any magnesium salt is going to need to be solvated before it can absorb, and the elemental magnesium separated from the salt to absorb through the ion channels in the GI tract. This is how all elemental minerals are absorbed. They all flow through the ion channels, and they all compete with each other to do so. A way around the poor bioavailability is to chelate magnesium with amino acids. By chelating magnesium, an amino acid is attached to the reactive sites of the magnesium ion. By doing this, absorption is increased significantly. 1. Magnesium chelates can absorb through amino acid transporters in addition to the magnesium transporter. 2. Magnesium transporter efficiency is enhanced due to pH modification of magnesium. The pH of magnesium can decrease the efficiency of the magnesium transporter, which limits the absorption of magnesium. By buffering the pH with amino acids, magnesium transporter efficacy can be greatly enhanced. 3. Compounds such as phytic acid can no longer bind to the reactive sites of magnesium, which enhances absorption. 4. Magnesium, when it comes into contact with water, attracts water molecules. This increases the size of the magnesium ion, which decreases magnesium absorption. Chelation with amino acids, can help limit the amount of water molecules the magnesium ion attracts, thereby enhancing absorption. Based on the above factors, we came to the conclusion that amino acid chelated magnesium is the best option currently available for highly bioavailable magnesium supplementation. 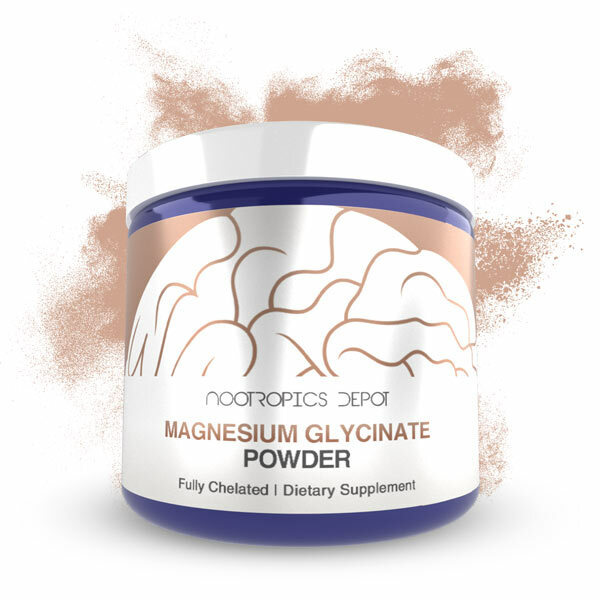 Based on this, the two forms of magnesium that we carry, Magtein and fully chelated magnesium glycinate, are both magnesium amino acid chelates. Now the question is, why carry two different magnesium amino acid chelates? The short answer to this is that the amino acids that are chelated with magnesium have the ability to exert their own unique effects. Each amino acid also has a unique impact on how the magnesium is absorbed and distributed throughout the body. 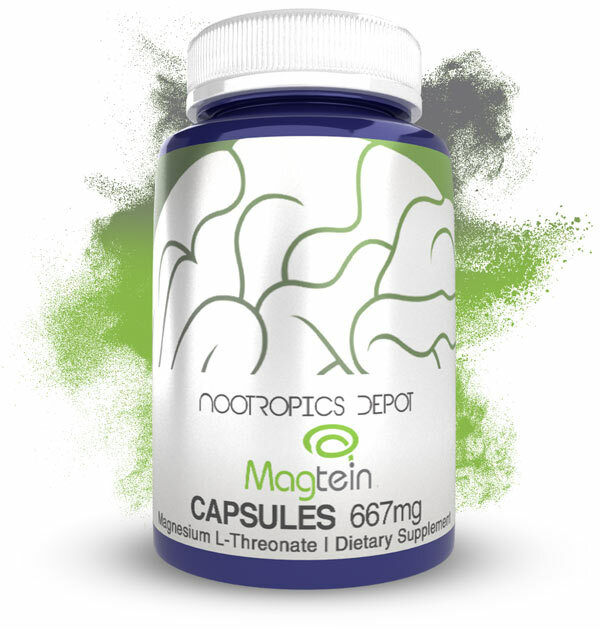 For example, Magtein is chelated with L-Threonate, an amino acid that plays an important role in the brain and which helps transport magnesium to the brain. For fully chelated magnesium glycinate, the magnesium is chelated with glycine. Glycine not only has very good pH buffering activity, but it also has calming effects. Magtein: What Is Magnesium L Threonate Used For? Magtein magnesium l threonate is a patented form of magnesium developed by a team of MIT scientists. The main goals when developing Magtein magnesium L-Threonate was to develop a magnesium amino acid chelate that readily made it to the brain. They ended up settling on an amino acid called L-Threonate, which is a metabolite of vitamin C. L-threonate is a unique amino acid which appears to enhance mitochondrial function, synaptic density, and neuroplasticity on its own. It appears to do this partially by elevating neuronal intracellular magnesium levels, which can then act as a second messenger. Based on this, the chelation of magnesium with L-Threonate makes a lot of sense since, L-Threonate is enhancing neuronal intracellular magnesium levels, whilst the magnesium elevates magnesium levels throughout the body and the brain. L-Threonate also appears to have a high affinity for the brain, as there is 5 times more L-Threonate in the brain than in the body. This is important, as it indicates that magnesium l threonate could be particularly effective at increasing magnesium levels in the brain. In fact, research has indicated that magnesium l threonate is one of the only forms of magnesium that enters the brain at significant levels. Since magnesium plays a major role in various processes throughout the brain that regulate mood and memory, this makes magnesium l threonate a good form of magnesium for brain health. One of the ways in which magnesium l threonate enhances cognition, is by increasing the density of NR2B containing NMDA receptors. The NMDA receptors play a crucial role in memory and learning, as activation of the NMDA receptor sets in motion a process called long term potentiation (LTP). LTP is one of the main ways by which we encode memories and thus enhancement of LTP through increased NMDA receptor density should support learning and memory. The increased density of NR2B containing NMDA receptors appears to be due to L-Threonate enhancing neuronal intracellular magnesium levels. However, activation of the NMDA receptor can also lead to overexcitation of the brain, which can be detrimental to cognition. Luckily, magnesium is able to block the NMDA receptor in a manner that only very strong signals will activate them. Thus, the magnesium portion of magnesium l threonate is essential in achieving enhanced, but balanced, NMDA activation. In fact, by decreasing the sensitivity of the NMDA receptors (by blocking it), magnesium that is binding to the NMDA receptor will also help up-regulate NMDA receptors even further. The net effect of this is that once a strong enough signal activates the NMDA receptors, the level of activation should be much greater. 1. Highly bioavailable, a good choice for adding magnesium back into your diet quickly. 2. Very mild taste, easy to add to drinking water. Magnesium glycinate, as the name suggests, is magnesium chelated with the amino acid glycine. Glycine is one of the main inhibitory amino acid neurotransmitters; it even has its own receptors, the glycine receptor! Activation of the glycine receptor will relax muscles, promote relaxation, and can even help enhance sleep. Another unique aspect of the glycine receptor, is that it is also located on the NMDA receptor. Here, it acts as a co-agonist for the NMDA receptor. When glycine receptor on the NMDA receptor are activated, it makes the NMDA receptor more sensitive, which could lead to enhanced cognition, and could help promote a positive mood. So why chelate magnesium with glycine? One of the main reasons for this is that glycine is a very good pH buffer. This is important, as magnesium absorption through the magnesium transporter is highly dependent on pH levels. Since glycine buffers the pH of magnesium, it greatly enhances absorption through the magnesium transporters. Once magnesium glycinate has been absorbed, glycine detaches from the magnesium and both glycine and magnesium can go to work. Glycine, being an inhibitory neurotransmitter, can have a calming effect throughout the brain and on our muscles. Due to this, magnesium glycinate is the best magnesium for sleep, and we would recommend this form of magnesium to anyone looking to support a healthy sleep cycle. 1. Relatively affordable for a high bioavailability magnesium supplement. 2. Contains a higher percentage of elemental magnesium compared to Magtein. However, in addition to magnesium glycinate benefits there is also one major drawback. This drawback is its taste. Whereas Magtein is a great magnesium supplement to add to drinking water, magnesium glycinate has an unpleasant taste to it. That being said, this taste is fairly easy to mask in sour and sweet beverages, such as fruit juices. Who Should Take a Magnesium Supplement? As discussed earlier, magnesium deficiency is very common, and thus, most people could benefit from consuming a little bit more magnesium. That being said, individuals who have a lot of muscle cramps could greatly benefit from consuming more magnesium, as cramps can result from a magnesium imbalance. Furthermore, anyone looking to support cognitive function, and promote a positive mood could benefit a lot from consuming a little extra magnesium. On top of this, anyone who drink alcohol would benefit from taking magnesium. Alcohol depletes both magnesium and vitamin B6 in the body. So after a night out drinking, a good magnesium supplement is a must to get your body back in balance. Magnesium Glycinate Vs. Magnesium L-Threonate: Which Form Of Magnesium Is Best? 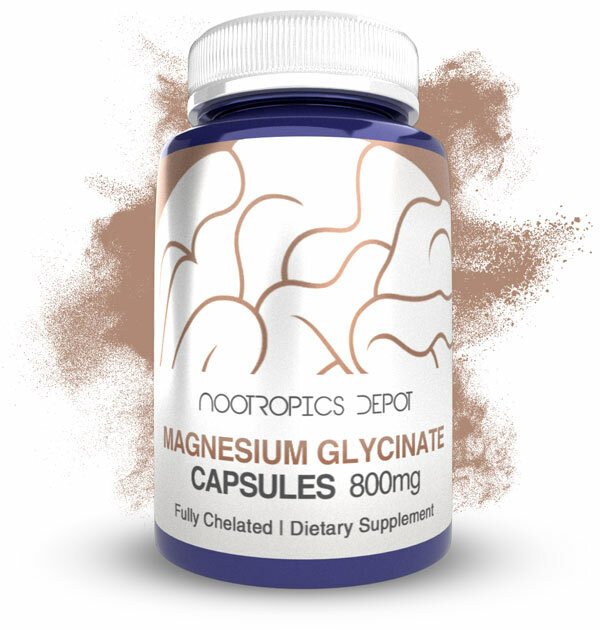 A magnesium glycinate supplement is a lot cheaper than a Magtein magnesium l threonate supplement, and contains more elemental magnesium than Magtein (14 % vs. 8 %). Thus, for anyone simply looking to include a little bit more magnesium in their daily regimen, a magnesium glycinate supplement is the best choice. Magnesium glycinate would also be the best choice for anyone looking for a more relaxing magnesium; especially if they have trouble sleeping. 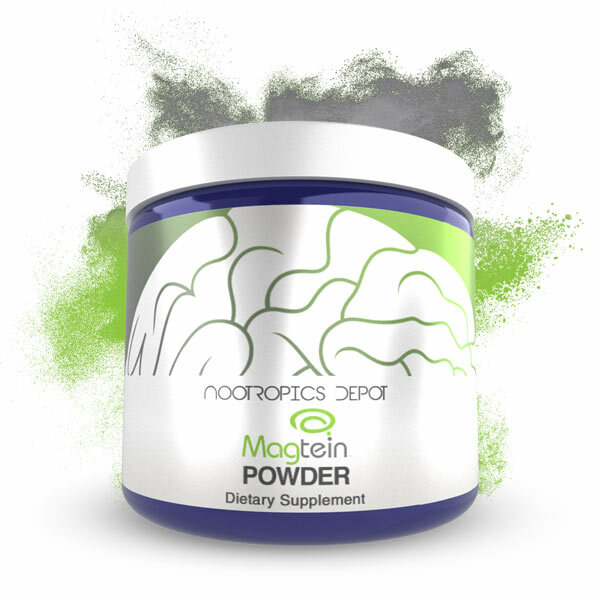 Magnesium l threonate on the other hand is by far the best choice for anyone looking to support cognitive function, due to the magnesium l threonate benefits on overall cognition. Best of all, this has been proven in numerous research studies. The one drawback is that if you are trying to hit the recommended daily intake of 400 mg elemental magnesium, then Magtein is a very expensive option compared to magnesium glycinate. Thus, we would recommend the following: Take Magtein earlier in the day, to reap the cognitive benefits. Then later in the day or at night, take magnesium glycinate. By supplementing both forms, you will be consuming more elemental magnesium, while also promoting relaxation, good sleep and optimal brain health.